This is the first time I have had an opportunity to actually help someone who has a great need in more ways than one. Please join me in helping this young man. His name is Shem Mutulu and he lives in Kenya. Presently he is Secretary-General of International Network of Online Evangelists or “INOE” and is doing a first rate job of using the media to kick off the first annual “International Day of Prayer for the Unsaved-2017” August 20, 2017 on six continents. He has no formal education and has basically taught himself. Now you should have an idea as to why I want to help this young man. God has obviously blessed him with a fine mind and wants to use him for His work. First, Shem has been called by Jesus Christ into the ministry to bring salvation to the unsaved of the world and needs a formal education to prepare him; second, He wants to enroll in Daystar University, http://www.daystar.ac.ke , a fine Christian school in Nairobi, Kenya, September 2017. However, he needs additional funds to help pay the costs of Daystar University. A US dollar goes a long way in Kenya so any amount donated would be of tremendous help. When I found out about his desire to be formally educated I told him I would do everything I could to help. We are far more blessed financially in the US and are a very generous people for a good cause. I encourage you to please help Shem Mutulu achieve his dream to answer the Lords call. Please share this as much as possible! You can go to his website: http://shemhope.com/theology-school/and make donations on PayPal. I pray for Shem Mutulu that the Lord Jesus will bless Him with all his needs and anoint him into the Lords work as one of His ministers. Jesus there is a great need for more workers for the spiritual harvest of lost souls so please accept Shem Mutulu as your servant. In Jesus name, Amen! Categories: CHRISTIAN CAUSE | Tags: CHRISTIAN CAUSE, Christian Ministry, Daystar University, Donate, Gods calling, INOE_GLOBAL, Shem Mutulu | Permalink. Do you know who God is? Do you know what His purpose for creation is? What is the greatest thing about God? It would take the whole bible to thoroughly answer these questions so we will only cover some very important high points. If you have yet to receive Christ into your life then all these points are of the utmost importance to you and your family! The first thing we learn about God in Genesis 1:1 He was there from the beginning and that He created the heavens and the earth. But does it say who He is? This is better explained in other passages of the bible. In John 1:1-4 In the beginning was the Word, and the Word was with God, and the Word was God. He was in the beginning with God. All things were made through Him, and without Him nothing was made that was made. In Him was life, and the life was the light of men. The apostle John talks about the Word and that Word was Jesus Christ. In other scripture we learn what God is like and the most important characteristic about Him. Very plainly He is the epitome of love. 1 John 4:8, 16 He who does not love does not know God, for God is love. And we have known and believed the love that God has for us. God is love, and he who abides in love abides in God, and God in him. God even emphasizes how important love is. Let make sure we understand that Gods love and the love defined by the world are totally different. The love of the world is sensual, emotional, self seeking, lustful, and covetous. God’s love is explained this way. John 15:13 Greater love has no one than this, than to lay down one’s life for his friends. This is exactly what God did when He sent His Son to die in our place on the cross. John 3:16 For God so loved the world that He gave His only begotten Son, that whoever believes in Him should not perish but have everlasting life. Jesus loved all men so much He willingly gave His life for us that we might live. Galatians 1: 3-5 Grace to you and peace from God the Father and our Lord Jesus Christ, who gave Himself for our sins, that He might deliver us from this present evil age, according to the will of our God and Father, to whom be glory forever and ever. Amen. We have now come to the most important part! If you have never asked Jesus to come into your life take the time, now, find a private place and ask God to help you understand what being saved is all about. He, in all His love, will show you the way. Trust Him! Believe Him! Accept Him! He is ready with all His heart to give you His greatest gift. His GRACE! It is undeserved pardon for all your sins past, present, and future. 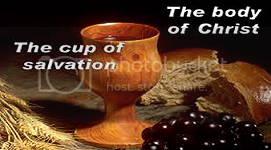 You will be a new holy creation for God the Father and your citizenship will immediately be in heaven. 2 Corinthians 6:2 For He says: ” In an acceptable time I have heard you, And in the day of salvation I have helped you.” Behold, now is the accepted time; behold, now is the day of salvation. Don’t wait any longer for Jesus is at the door waiting to come in! 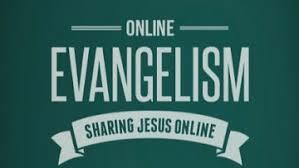 Categories: Evangelism | Tags: believe God, Creator, eternal life, follow Christ, God's love, grace, Jesus Christ, love, pray, prayer, preach the Gospel, salvation, the cross, Truth of God | Permalink. Through His love we can begin our life anew! There are a whole lot of people in this world who don’t know who Jesus Christ is or anything about Him. On CNN news, concerning Easter, an article appeared that said, quote: “Jesus Christ is the most famous man who ever lived and there is little that is known about Him.” What a perfect example of people who have never taken the time to learn about the most famous person in the world. God created the heavens and the earth. This includes the universe and the beautiful planet earth that we dwell upon. That covers a lot right there! He created the heaven in which He resides also. All this He created for one great purpose. He created it all for man.